For instant curb appeal and to add value to your home, A&E Construction will guide you through an array of siding options for your home from premium weather resistant James Hardie siding (with an amazing 30 year warranty), vinyl and stone, or brick veneers. 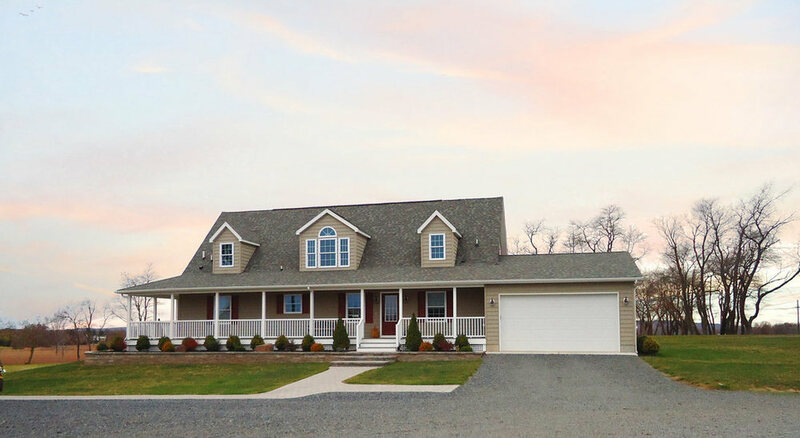 A&E's Princeton siding installations and replacements focus on the aesthetic improvement of your home along with protection from New Jersey weather elements such as rain, snow, sun, and wind. Siding is one of the best investments you can make in your home with an impressive 85% return on investment from the day of installation. A&E's Pennington siding installations continue to provide years of comfort and protection from the weather after the initial install. 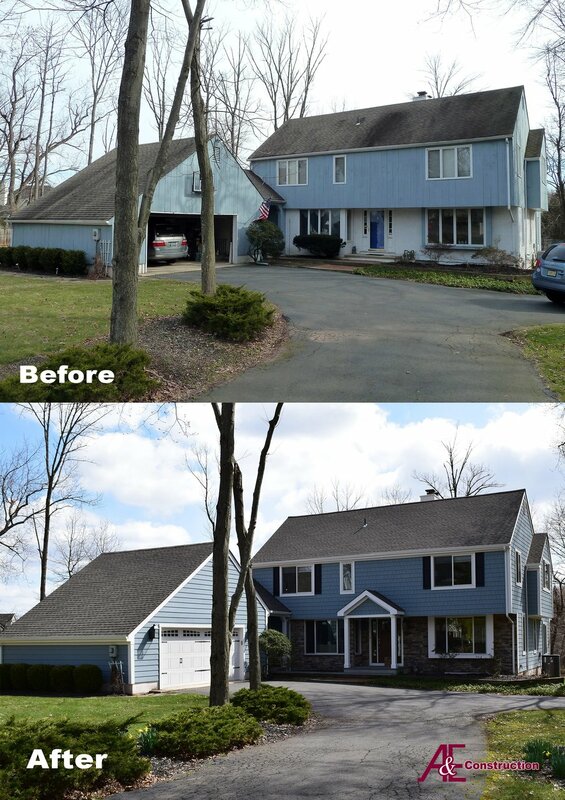 See some examples of our siding projects below. 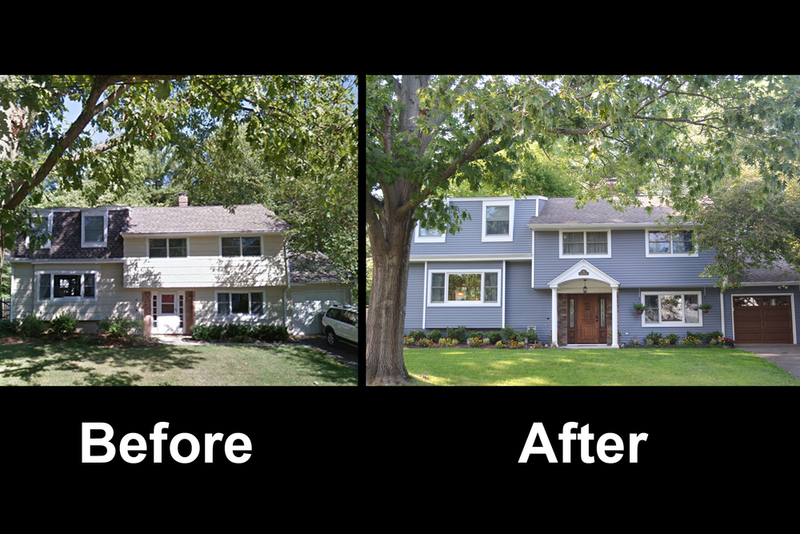 This exterior home renovation involved several different elements. 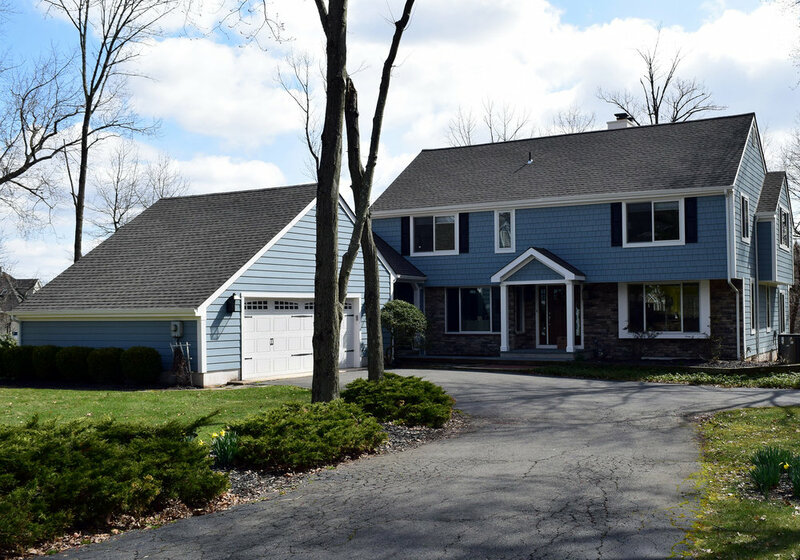 New siding and trim was installed, a new stained wood garage door was installed, and stone detailing was added around the front door for a fully upgraded facade. 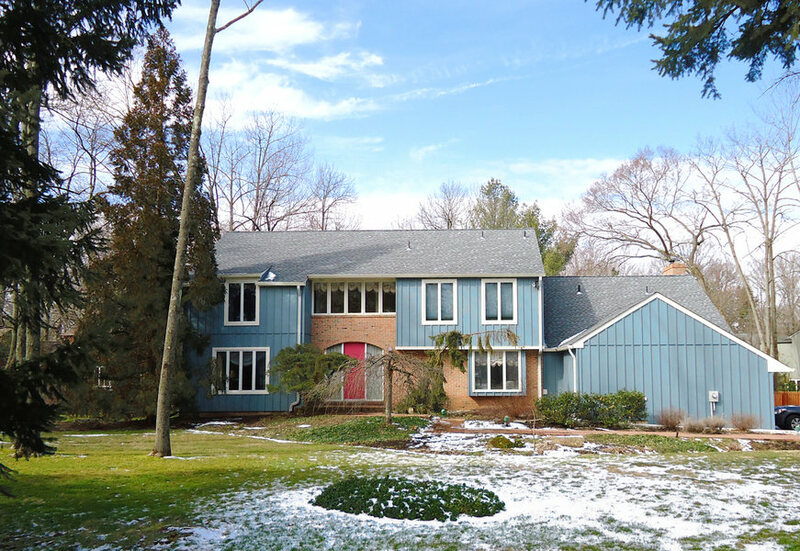 For the project shown above, A&E Construction both installed the siding on the exterior of the house, and also designed and built the garage addition and the wrap-around porch addition. 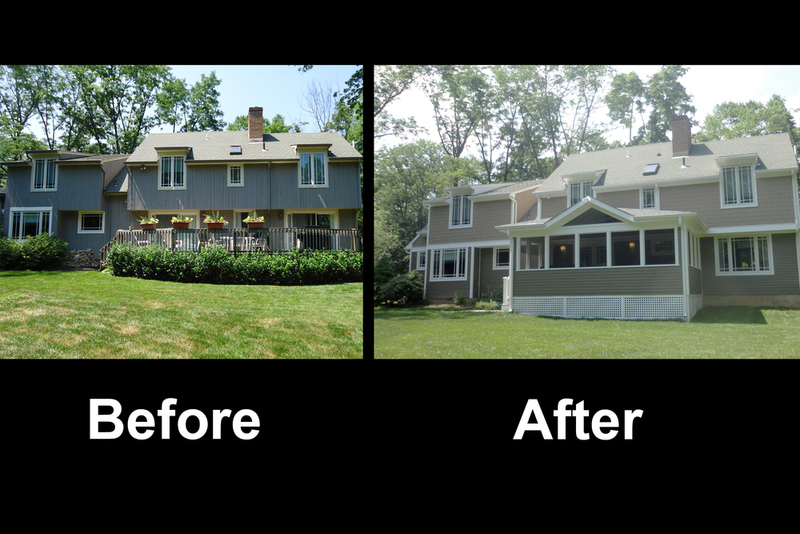 This home renovation included the installation of the Hardie Shake siding shown, and also the addition of the enclosed porch area.